This entry was posted in Blog on 11/29/2017 by Alejandra Vazquez. It’s common knowledge that the primary goal of the U.S. Marine Corps Reserve Toys for Tots Program is to deliver a message of hope to less fortunate youngsters that will assist them in becoming responsible, productive, and patriotic citizens. But were you aware of the “feel good” component of generosity? It really is better to give than to receive! Here are 3 reasons to donate to Toys for Tots this year. For 60 years, the mission of the Toys for Tots Program has been to collect new, unwrapped toys each year, and to distribute those toys as gifts to children in our community. The joy of the holidays is something every child deserves to experience. 2. Bringing Hope and Joy to Kids and The Communities Where they Live – And Some to You! The Toys for Tots program plays an active role in the development of one of our nation’s most valuable resources – our children, and contributes to bettering their communities. The toys are not only viewed as a simple gift, they also bring joy, happiness, and hope to children in need. These toys make a tremendous difference in the lives of local families. The impact of donating is two-fold – Psychologists have found that the act of philanthropy can “lift the spirits” of those who donate. When we “do good,” the brain can release dopamine – a neurotransmitter that controls the brain’s reward and pleasure centers. This year, Freeway Insurance is an active community partner of the Toys for Tots program. We support the program by offering drop-off/collection bins at select Freeway Insurance offices. Show some kindness and show that you care – give generously and give often. While you are at it, why not request a free insurance quote from Freeway Insurance? 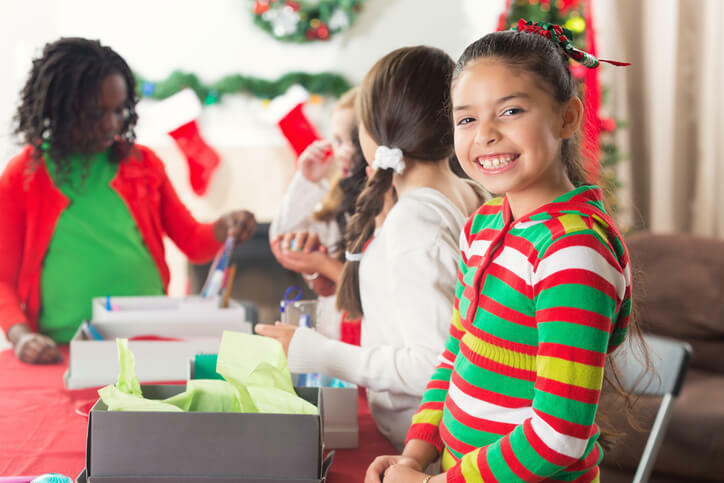 Other great organizations have partnered with Toys for Tots, such as the Walt Disney Company, Toys R Us, Babies R Us, Hallmark, Delta, Macy’s, Duracell, and Hess. Show some compassion today by stopping by your local Freeway insurance location or call to inquire about donating to Toys for Tots. Contact Freeway Insurance by dialing 800-777-5620 to compare insurance rates and get more information about the program. Freeway Insurance – Low-cost coverage, your way.